Are you a student and don’t have sufficient pocket money now to book bus ticket to your hometown? Don’t worry, eTravelSmart India’s online bus ticket booking portal is offering first of its kind partial payment bus ticket booking to anywhere in India.You just pay 20%* and book your ticket well advance with preferred bus seat of your choice of bus operator.You are also saved from future fare hikes too. You can also book bus tickets using ePayLater which you can pay after 14 days of booking. Pay the balance amount once you get the pocket money before journey. Don’t worry about payment date, our intelligent system will send you reminders for balance amount to be paid. You can use many different options in each payment like credit card, debit card,net banking,paytm,mobikwik,freecharge,sbi buddy,etc. In case you are unable to pay the remaining ticket fare before the suggested expiry time, there will be ZERO refund. How it works? :We pay remaining 80% of Total Fare from our pocket to the operator well in advance to reserve your Selected/Preferred seat. Our initiative of “Reserve My Seat” ensures a comfortable journey for you. 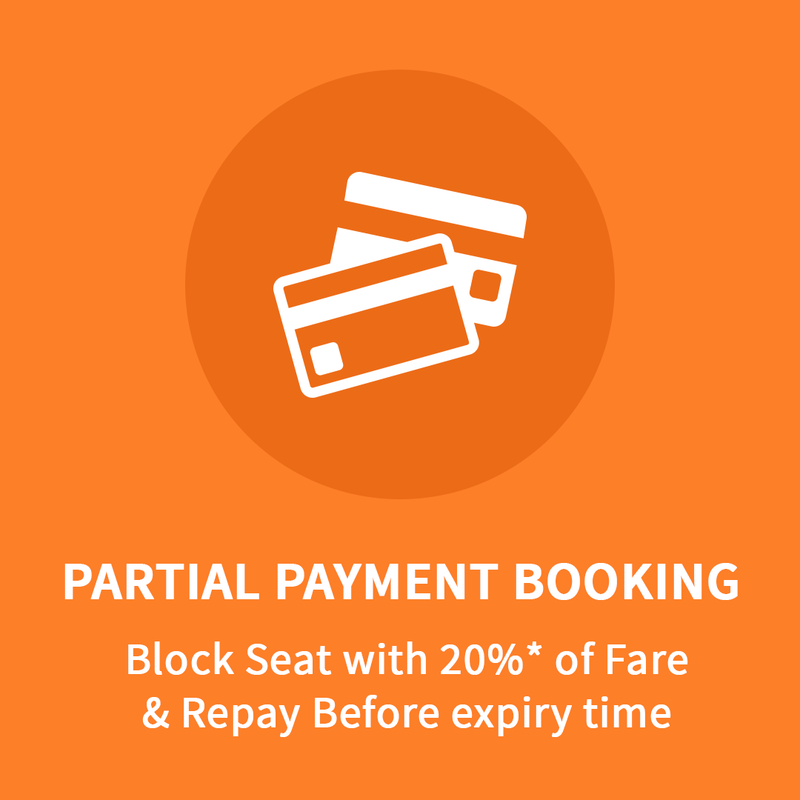 This option of paying 80% in advance requires us to maintain huge balances with the operators and hence our funds get blocked until you repay the balance fare before the expiry time. If you are unable to pay the balance amount within set timelines, the ticket gets automatically cancelled and we need to pay compulsory cancellation charges to the operators which are very high in current bus industry environment vendre viagra tunisie. Yes you get SMS reminder twice to pay the balance ticket fare for enjoying a comfortable journey @ eTravelSmart.